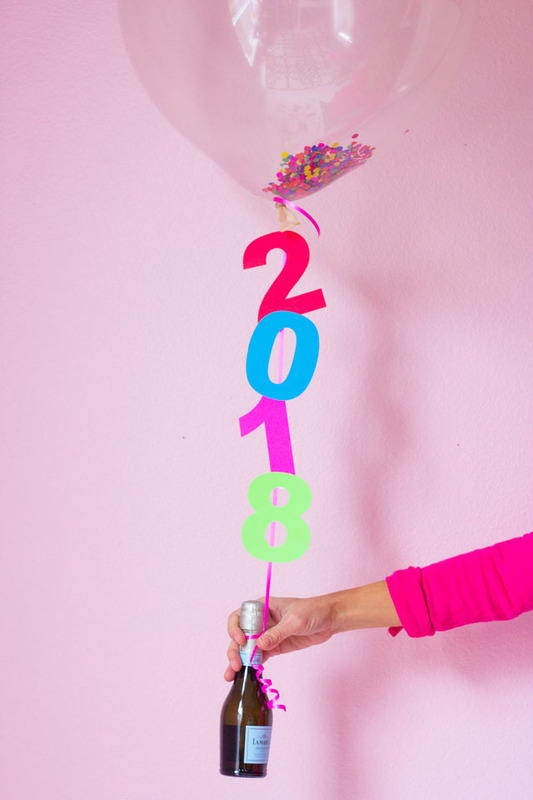 DIY New Years 2018 Balloons! 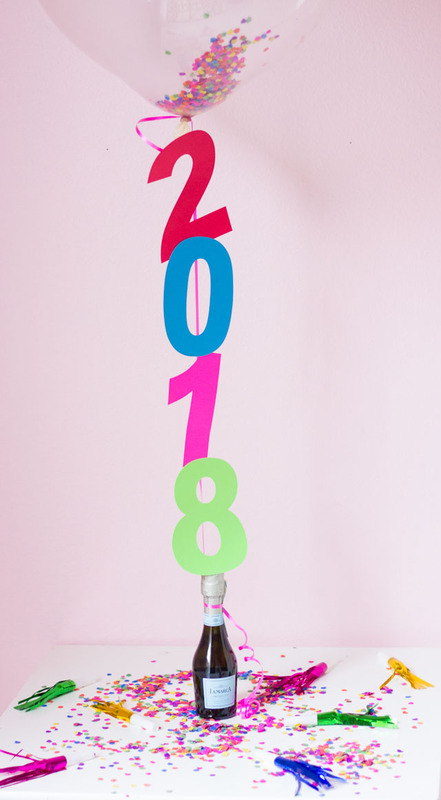 It’s my final blog post of the year and I’m going out with a pop, clink, and a fizz with these 2018 New Years balloons, complete with a champagne balloon weight! Because really, what more do you need to celebrate NYE than a balloon and a bottle of bubbly? At least, for me that sounds like a party! These balloons would be fun to make whether you’re staying home, heading to a friend’s to celebrate, or throwing a big party. Whip up a bunch of them to use as decorations or give out to guests! These festive balloons just require confetti and colorful paper. I used a few vibrant colors from my favorite ASTROBRIGHTS® cardstock assortment and cut out the numbers using my Cricut Explore Air 2. 1. Cut out numbers from different colors of cardstock using a cutting machine, or by freehand cutting them. 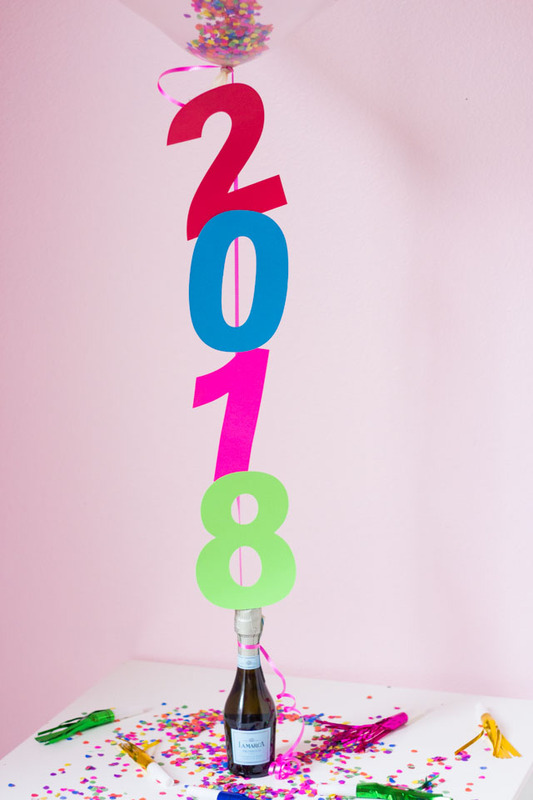 I used a Cricut Explore Air 2 to cut out my numbers – here is my 2018 balloon numbers template for you to use if you like! 2. 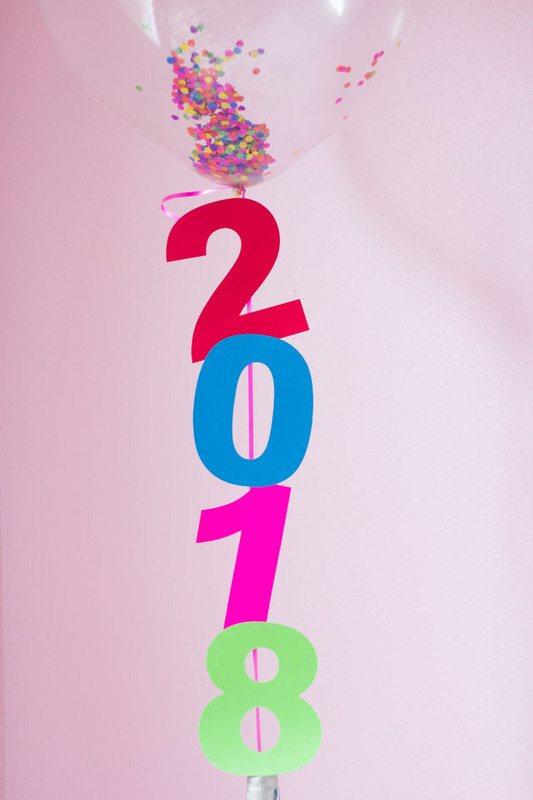 Fill a clear balloon with confetti (a small funnel helps with this). Inflate the balloon with helium and tie with curling ribbon. 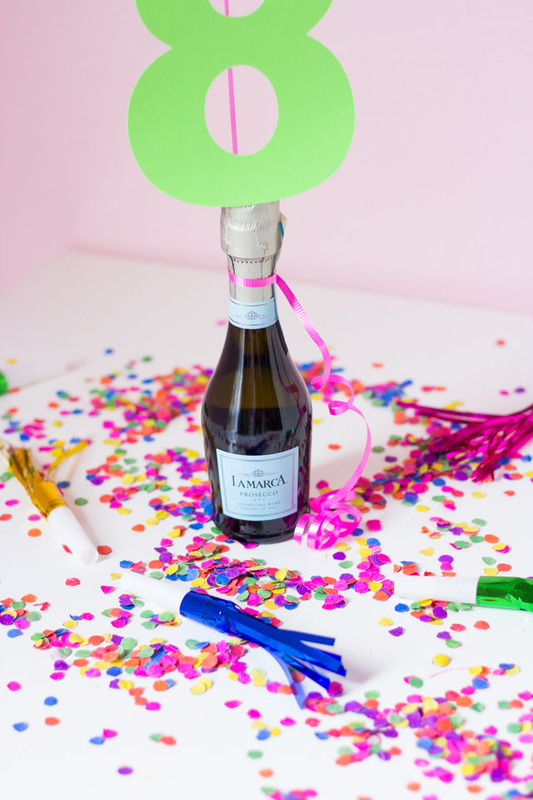 Tie the other end to a small bottle of champagne as a festive alternative to a balloon weight! I found the mini La Marca prosecco bottles at my local Target. 3. Use double-sided tape to add the numbers to the curling ribbon. I love these mini individual prosecco bottles, but you could always tie your balloon to a full-sized bottle of bubbly as well! I’ll be back in January crafting up a storm here on Design Improvised. In the meantime, I hope you all have a very Happy New Year!